In its first implementation of a new anti-terrorism law, the Egyptian government arrested three Facebook users on August 23 on charges of “incitement to violence”, accusing them of spreading materials in support of the violent extremist organization known as ISIS. The three individuals, two of them students and one a veterinarian, were targeted for a security search and then arrested after authorities found what they alleged to be pro-ISIS videos on their laptops. It is unclear why they were originally selected for investigation. 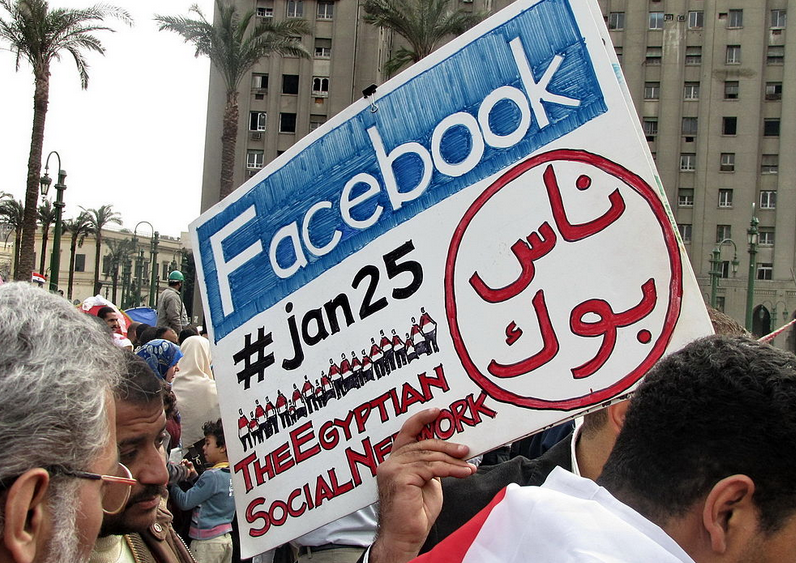 Meanwhile, an Egyptian court rejected a lawsuit last Tuesday that sought to shut down Facebook in Egypt; the suit claimed that the social media platform helps to propagate false information and promote prostitution. According to Ahram Online, the court reasoned that self-censorship and “objective media coverage” would be more effective methods for mitigating the issue, a curious response in light of the case above. Malaysian authorities banned websites that “promote, spread, and encourage people to participate” in protests organized by Bersih, a coalition of groups promoting electoral reform that has called for Prime Minister Najib Razak to resign. On the heels of the ban, the Malaysian Communications and Multimedia Commission announced a proposal requiring that all news websites register with the government. Despite these measures, demonstrations demanding electoral reform have continued in force. Organizers estimated that 500,000 people joined protests in Kuala Lumpur and thousands participated in demonstrations in Kota Kinabalu and Kuching. India’s Gujarat state reportedly blocked mobile messaging platforms, including WhatsApp, in the face of riots stemming from protests and public allegations of social class discrimination. According to the BBC, organizers have used WhatsApp to mobilize demonstrators. Russia’s communications regulator Roskomnadzor issued and then quickly cancelled a ban on Wikipedia after the US-based site refused to remove an article on hashish. A local court ruled that the page stood in violation of the country’s law prohibiting online content promoting or pertaining to illegal drug use. Although the law would only require authorities to block the specific article in question, Roskomnadzor said it needed to block Wikipedia completely because of the site’s use of HTTPS encryption, which complicates the process of banning specific pages within a website. The ban led to a debate among Russian Wikipedia users of the site over how best to respond to the order. They ultimately decided to make only a small change to the URL for the article, putting it in technical compliance with the law. Needless to say, the article has gotten far more attention and views since the controversy unfolded than it had previously. China imposed a new a crackdown on online rumors this August, in the lead-up to a major military parade. China’s Ministry of Public Security said it punished 197 users for allegedly spreading misinformation over social media and messaging services, according to PCWorld. Shortly afterward, volatility in China’s stock markets led to another wave of censorship: Searches for ‘stock market crash’ on Baidu led to only selective results being displayed, and similar blocks were instituted on the blogging platform Weibo. Social media crackdown looming in Cambodia? Cambodian Facebook user Kong Raiya was arrested and charged with “inciting a revolution” for messages he posted on Facebook encouraging a popular uprising in the country. Under Cambodia’s penal code, he could face up to two years in prison for the alleged offense. His arrest may be a sign of increased policing of online content in the country — Cambodia’s Ministry of Posts and Telecommunication says it is “gathering information” to draft a new cybercrime law giving the government greater powers to control online speech. Germany’s justice minister also took aim at Facebook last week in a letter to the company saying that it is doing too little to moderate racist comments. “Facebook users are, in particular, complaining increasingly that your company is not effectively stopping racist ‘posts’ and comments despite their pointing out concrete examples,” wrote Minister Heiko Maas. He plans to meet with Facebook representatives in Berlin later this month. Azerbaijani authorities announced that they are in the process of negotiating agreements with messaging and VoIP services including Viber, WhatsApp and Skype. The agreements will likely require the companies to register with the Ministry of Communications and High Technologies in order to operate in the country. Ellery Roberts Biddle, Arzu Geybullayeva, Weiping Li, Hae-in Lim, Kevin Rothrock, and Sarah Myers West contributed to this report.